Celebrate birthdays, anniversaries, honeymoons or simply enjoy a fun night out on the town! Enjoy complimentary hotel pickup and drop-off and stops at popular bars and clubs. The first drink at each location is included plus there are specials on additional drinks and a special champagne toast! 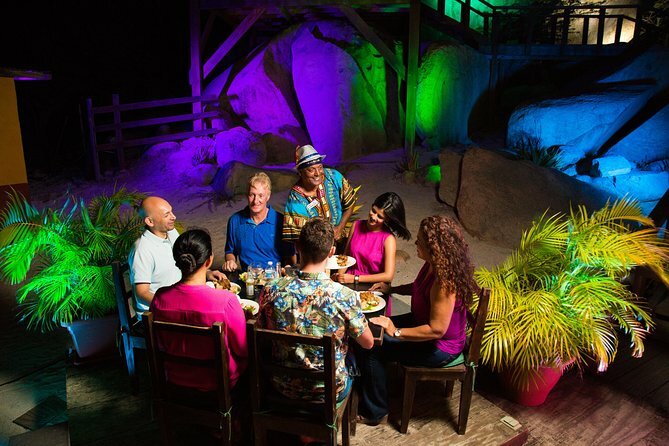 You will also toast with a complimentary beverage during a casual Caribbean dinner. 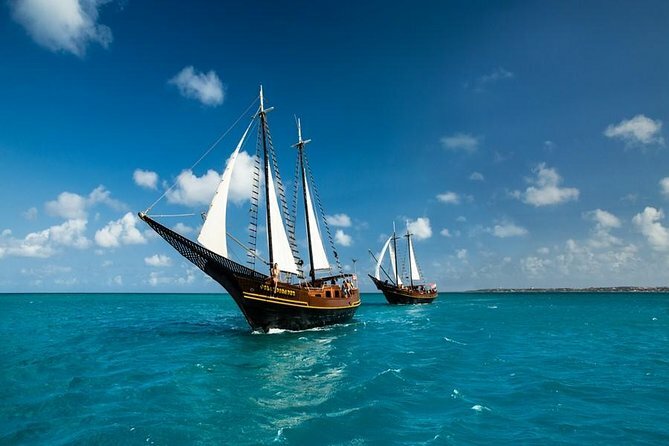 (For those visiting Aruba by sea please be sure to book your tour through the Shore Excursions desk on your ship). Aruba’s warm life-filled waters offer certified divers unparalleled aquatic adventure. As an certified diver you can explore this underwater realm as you swim with the 1-tank by shipwrecks, coral reefs and colored sea life. 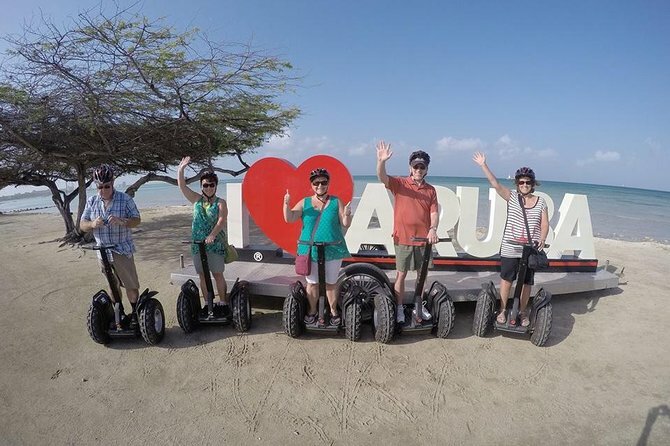 Enjoy a private Segway tour with your friends or family for the perfect adventure to explorer Aruba. Discover a new world of life underneath the sea during this 3/4-hour scuba diving course in Aruba. Without the need for certification, this opportunity allows you to experience new adventures and animals you didn't know could be real. Let a trained professional show you what you’re missing and jump in the water for an experience you’ll never forget. 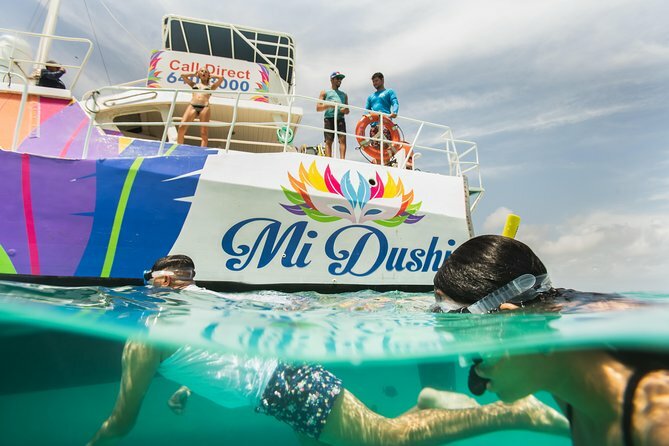 Enjoy your Caribbean adventure to the fullest on this 3-hour snorkel cruise from Aruba's Hadicurari Pier. 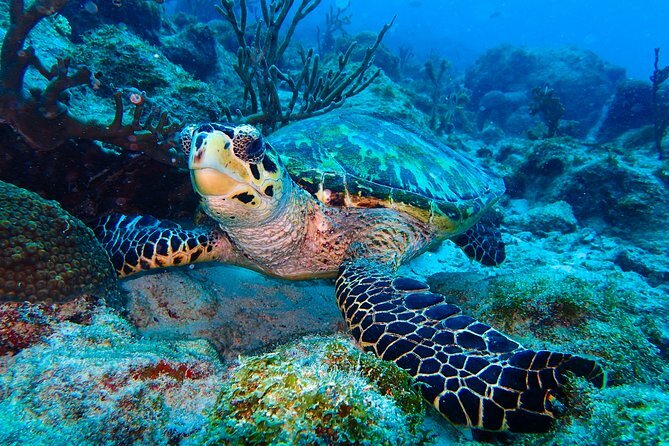 Snorkel in the clear, calm waters of Boca Catalina to discover colorful marine life beneath the waves. This popular dive spot is great for families and snorkelers of all experience levels. Back on board, enjoy music and snacks and sip tasty rum cocktails from the open bar. 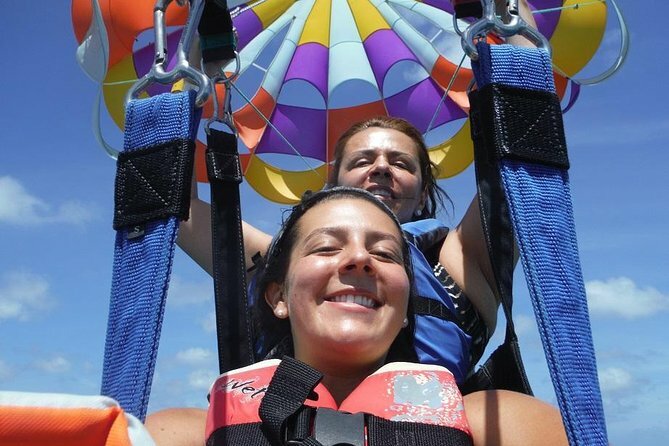 Enjoy a beautiful view over the northern part of Aruba on this parasailing adventure. Spend 12 minutes in the air as you take in the sights from above. Spot the turtles or a sunken ship in the blue-green Caribbean Sea. 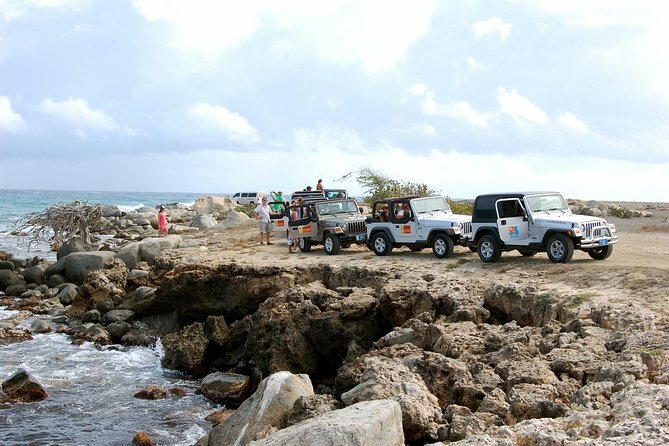 The North Coast jeep safari is an off-road adventure that takes you on what is considered the hidden treasures of Aruba. You will visit a selection of pristine, unique sites along the dramatic north coast of our beautiful island. Wide-open, rock-covered landscapes highlighted against ocean sprays and the rolling waters of the island’s windward side offer breathtaking panoramas. 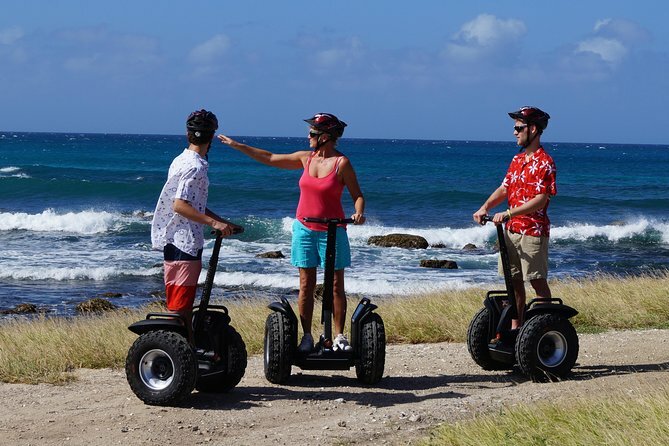 Explore Aruba's famous California Lighthouse with a 120-minute guided Segway tour where you will learn more about Aruba's history. 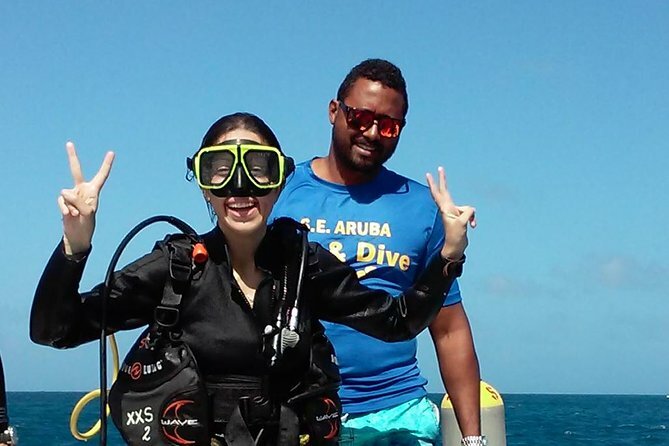 Experience Aruba on this 2-tank Certified diving adventure. Aruba is known for unforgettable scuba dive experiences. 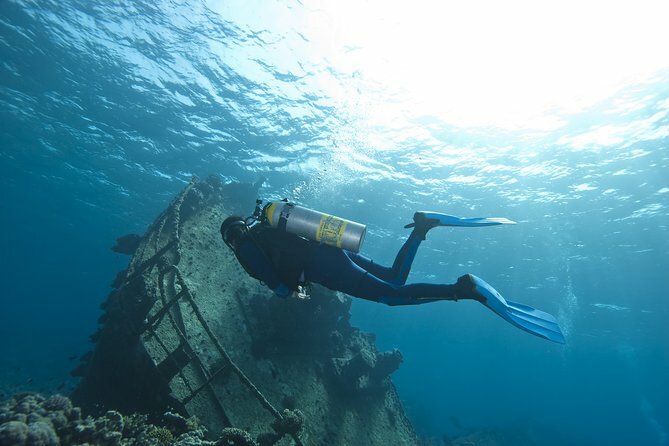 It has a nice range of dive spots, reefs, ship wrecks and even plane wrecks for divers. The tours has a duration of 3 hours approximately, including transportation to and from the Cruise Terminal in Aruba. Helmets will be provided. Helmets are a must. Drivers must be minimum 18 years old and have a valid driver license. 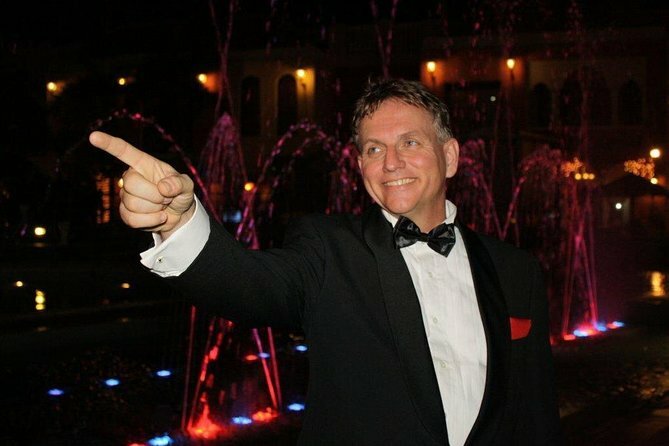 Enjoy an enchanting Aruba Sinatra dinner show at The Old Cunucu House Restaurant featuring Fred de Jong with songs such as "Fly Me To The Moon", "I've Got The World On A String", "I've Got You Under My Skin", "My Way", "New York - New York", "The Way You Look Tonight" and about 100 more songs available! Learn to dive in just one day! 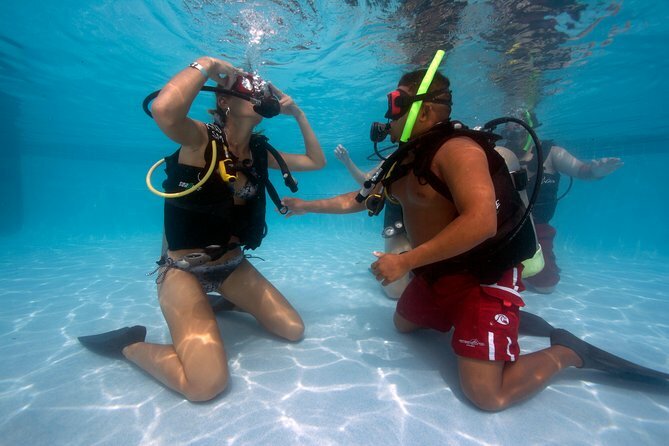 This course is perfect for the adventurer who wants to try scuba diving for the first time. It's also ideal for those who would like to go diving, yet don’t have the time for a full certification. The diving trip includes class instruction, pool session and an open water dive. Aruba Walking Tours offers the islands' local scoop during a 2.5-hour journey by foot in an interactive and engaging way. 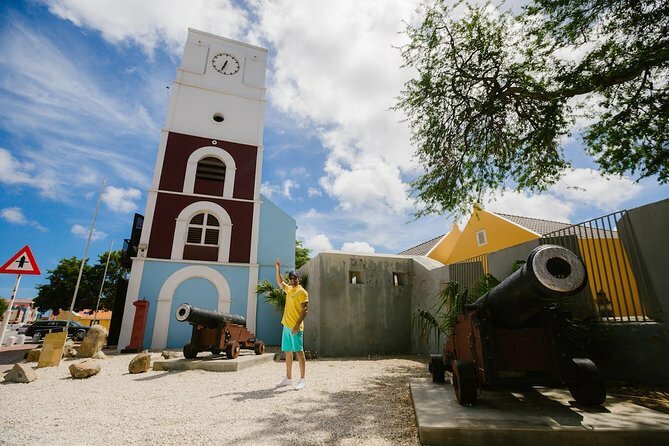 This authentic experience takes you to over 30 amazing sites in downtown Oranjestad, while a Local Expert shares fascinating stories on the islands' rich history & culture. 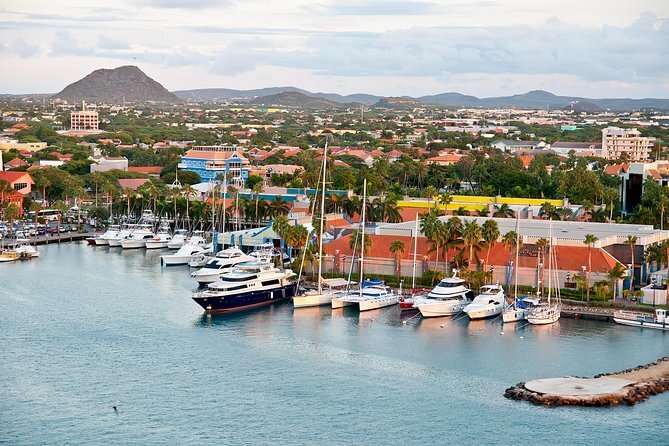 Stops are made to visit monuments & museums, sample Aruba's local cuisine and even for a little shopping on-the-go. During the Aruba walking tour plenty of "photo ops" and even encounters with Aruba's charismatic locals are provided. Making your way through the city was never this entertaining! The group tour is available Monday, Wednesday or Friday daily at 9 AM. For customized experiences and other departure times you can book a private tour for couples, families and corporate groups. 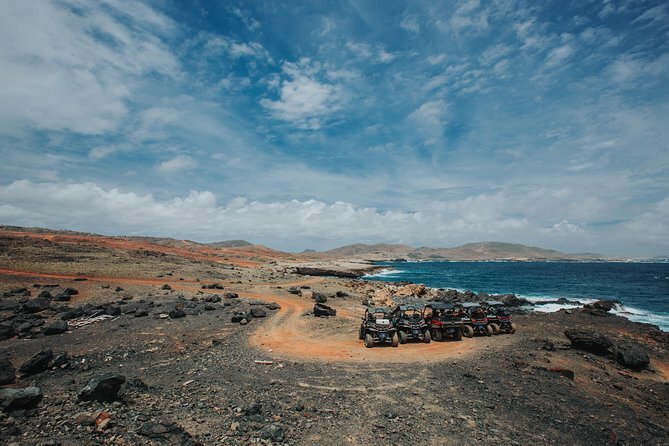 Discover the real Aruba in this full-day off road adventure. Travel down dirt roads and rocky tracks while visiting Aruba's most beautiful sites. Be your own driver in a four-wheel-drive automatic Jeep. A day not to be missed! Experience Aruba's magical marine life as you set sail aboard a spacious catamaran and snorkel at two spectacular locations. A friendly crew will take you snorkeling around the historical Antilla shipwreck, the largest and most famous in the Caribbean, now home to myriad fish and colorful corals. Upgrade your tour to include a Snuba experience and you'll combine the simplicity of snorkeling with the depth of scuba diving in Aruba. During your ‘happy hour’ sail, enjoy complimentary snacks and drinks from the open bar! So much to do, so little time! This half-day island tour includes all of Aruba's must see attractions, including the California Lighthouse, Ayo or Casibari rock formations, the Bushiribana gold mill ruins and the Aloë Vera Factory. 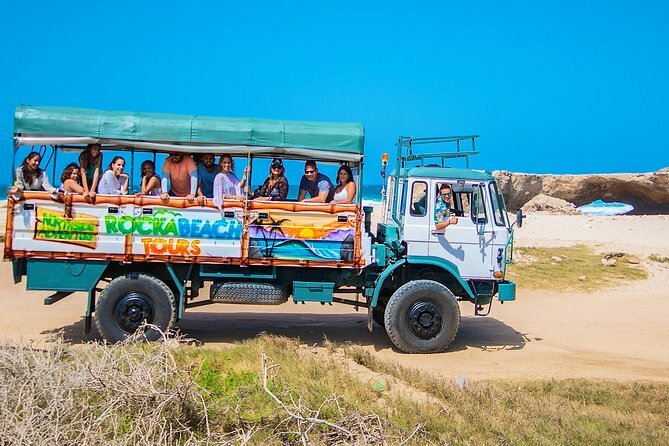 Hop on and enjoy a fun, personalized and friendly Aruba island tour. A professional guide and hotel pick up and drop off in an air-conditioned bus are included in the trip. Red Sail teamed up with the Hyatt Regency transforming our catamaran to a restaurant on the water for the Sunset Dinner Sail. 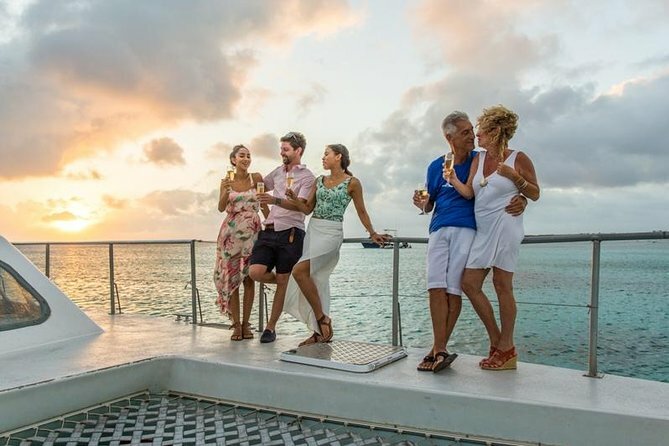 Included in this three (3) hour sail is a dinner buffet with appetizers, mains and dessert buffet and an open bar with sparkling wine (welcome drink), house wine, cocktail menu, local beer and soda's & juices. 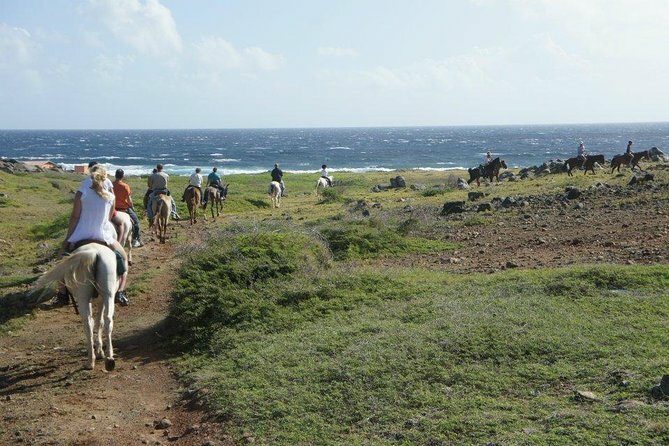 Ride horseback through Aruba's natural wonders and enjoy breathtaking sights on your way. Enjoy a small group tour with friendly, attentive, multilingual guides who have your safety and enjoyment in mind. Helmets are available. Great trails for all skill levels including beginners and children! 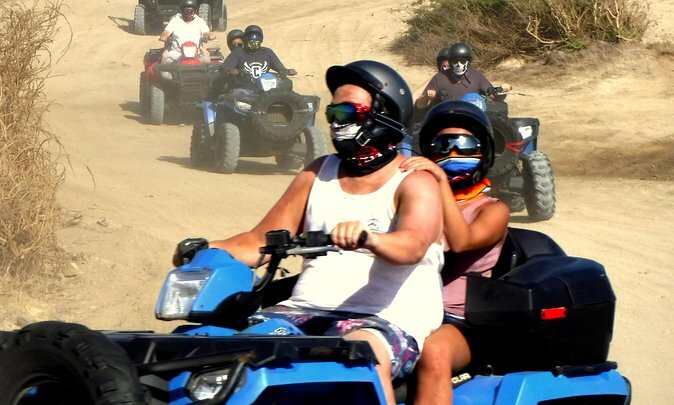 Discover the northern end of Aruba in your personal UTV – a 4×4 off-road utility task vehicle! Visit some of Aruba’s most famous landmarks and national attractions including Aruba’s very own Black Stone Beach! Let us take you on a coastal drive adventure to unforgettable landmarks. Explore Aruba’s north shore on our big 4x4 truck with the highest view on the island where you can see miles and miles away! Get to know Aruba’s north side where you can see different kind of volcanic stones, big waves and beautiful land marks. 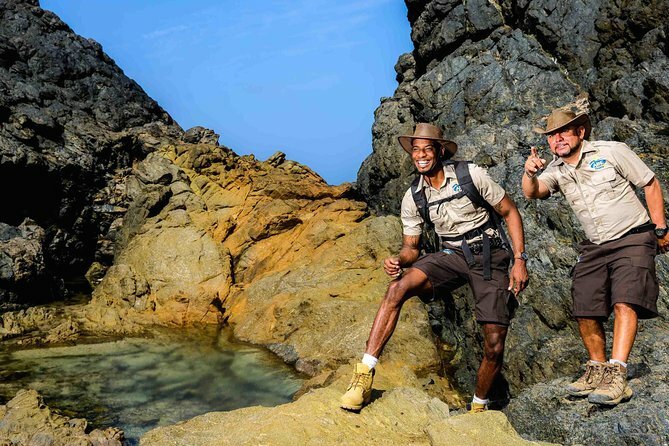 Our professional tour guide will inform and explain all about the geological and also flora and fauna of this side of the island, from how the island was formed to how the island is now with so many beautiful natural features. This is your chance to see all of the island's beauty and nature, from the calm waters with white sandy beaches of the south till the rocky wild side of the north with big waves and all the beautiful landmarks in between.